Add indents to paragraphs in any Modern Editor text block using Add > Character. 3. Place your cursor in the text block where you would like the indent to go. 5. 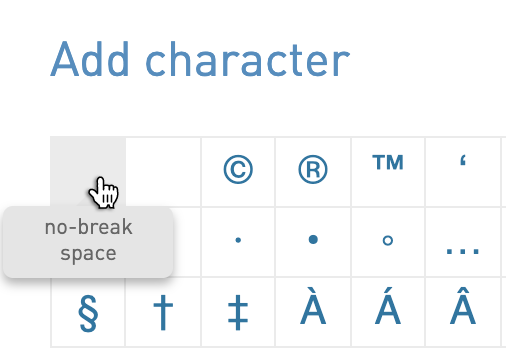 Select non-breaking space symbol - this is the first empty space in the character menu. Insert this symbol about 3-4 times. You now have a paragraph indent!